The year after my mom’s death, I decided to get a tattoo. She would have KILLED ME. Losing Mom had changed me emotionally, spiritually, and mentally- yet physically I remained unchanged. Something felt… off. It felt as though the exterior that had always been, no longer matched who I was on the inside. I had an overwhelming desperation for a physical reminder of her. I could feel the missing her on my skin. I’m pretty sure the very last thing Mom wanted me to do was get a tattoo for her! A big part of my brain told me that I couldn’t get a tattoo for her against her own wishes, that it was a total betrayal of the whole “living to make her proud” mentality. But… in some ways I needed to assert that I was still going to make independent decisions for myself, especially if they feel right. I can’t live my whole life under the umbrella of “would she approve of this/ would this make her proud?” Because I’m pretty sure that if she were still around, I would be making decisions she wouldn’t like– but that are vital to my independence and development. So, sorry Mom, I got a tattoo for ya! There’s a go-to phrase everyone turns to when consoling someone who has lost a parent: “But she’s still with you- because she is a part of you!” While that’s a lovely sentiment, and I know that it’s true, it’s hard for your mind to actually accept. I really did want to believe it. But her physical absence made the truth overwhelmingly clear. I wanted her to still have a place in this world, to carry her with me wherever I went. I thought about getting a cardinal, because she was so in love with them, and they even have a cultural meaning of lost loved ones coming back to visit. But… I couldn’t stop thinking about mom’s letters. My mom was the queen of letters- she sent me a card for EVERYTHING in college. Every holiday, every milestone, every time I had a hard week there was a letter in my school mailbox. I loved getting those cards. Even when she had hurriedly jotted down her thoughts from the passenger seat of the minivan as my dad drove them both to school in the morning, her sentiments jumped off the page with such warmth and life. I texted my mom constantly every single day, but those letters felt so much more real. I now keep her letters to me in a special wooden box, and I take them out from time to time when I need an extra dose of her wisdom, guidance, and love. It felt like I was finally understanding what everyone had been trying to tell me. She was still with me. And maybe she was trying to tell me in that moment. That letter itself was a particularly special one, it epitomized what a fantastic writer and mother she was. Yes my dear you know that we are indeed behind you- this family is with you all the way and always! We hope you come to believe in yourself as much as we believe in you… and to know that your potential is truly only limited by your fears and hesitation! I know you feel so very far away but we Curtises cannot be separated by mere distance!!! Also, remember that as far as wanting to do and study more than you have been able to so far… you CAN have it all, just not all at once! If life is a big pina colada (non-alcoholic of course! ), you can drink it all but in sips, not gulps. Take it all one day at a time, my love! Remember that post about how I lost my planner on an airplane once? This card was tucked into that planner– and I mourned the loss of it so much more than the lost record of that year. I felt lucky to have it already tattooed, but it saddened me to know I wouldn’t see the written words again. A couple months later, Dad found the card at our house. I could have sworn it was in that planner- and how it got discovered months later in my parents’ house remains a mystery. I sure am thankful for it. Since getting the tattoo, it’s been interesting to have such an apparent reminder of her loss- it’s visibility to strangers is something of a mixed bag, of course. Sometimes it opens up the topic at an inopportune moment, when I would rather not discuss that part of my life. At a bar last week, I had to nicely tell a sweet guy I had just met that it was a subject for another time. In the more important ways, though, it has made this grief easier to communicate to the new people in my life. It’s a way to get that subject out in the open sooner rather than later. More importantly, it gives me greater cohesion between my outer and inner worlds. Physically I look like an innocent, naive young woman- and this helps me to assert my identity, both to myself and others. There is no grave for me to visit. We still have not scattered her ashes. There is no other place for me to go to know a part of her is there. It helps having her handwriting here with me. It is a privilege to carry Mom around on my arm. I wear her heart under my sleeve. 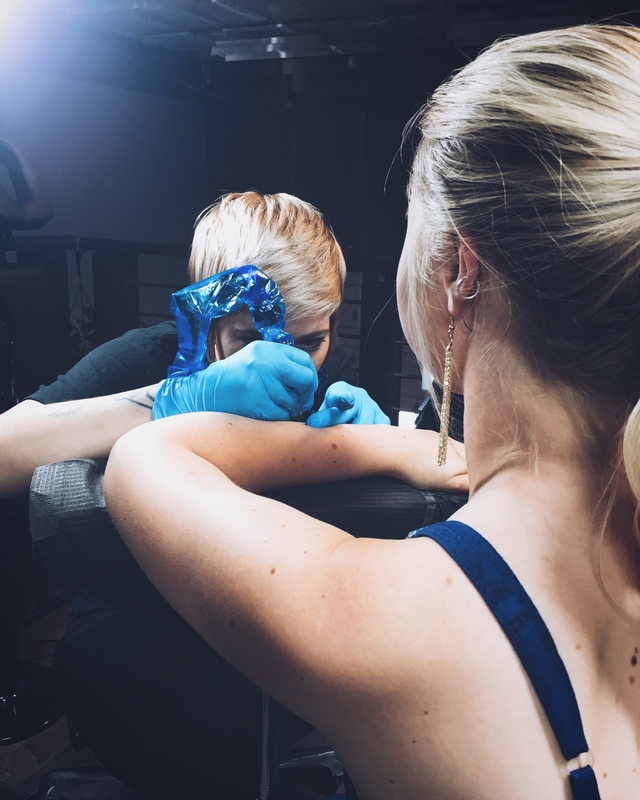 Did you get a tattoo for your loved one? I’d love to see it- head to that contact page and tell me about it!! 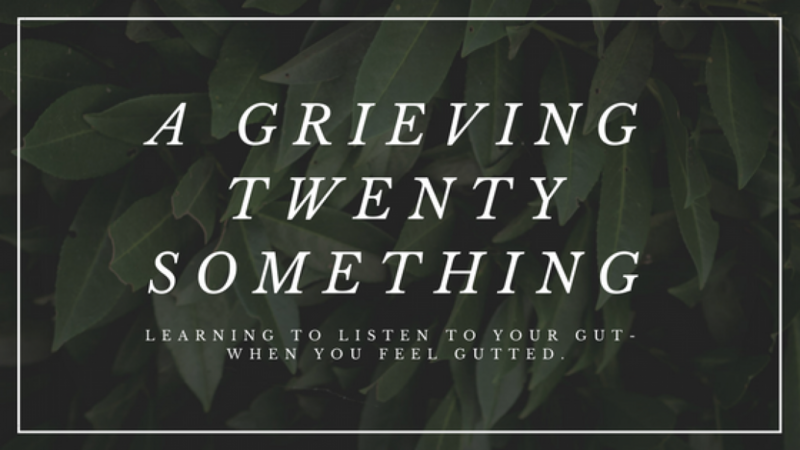 Next Post So Grief Changes Your Plans- Now What?